Free Shipping on Orders Over $75! Open 6 Days 11-5! Reminiscent of your favorite holiday memories, Sweet combines warm vanilla with delicate tangerine to create a gracefully illuminating fragrance. 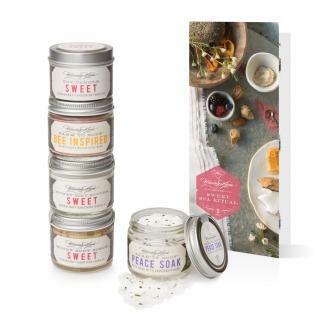 Perfect for the colder months, when you crave cookies and baked goods. Earn 20 Points when you purchase this item! 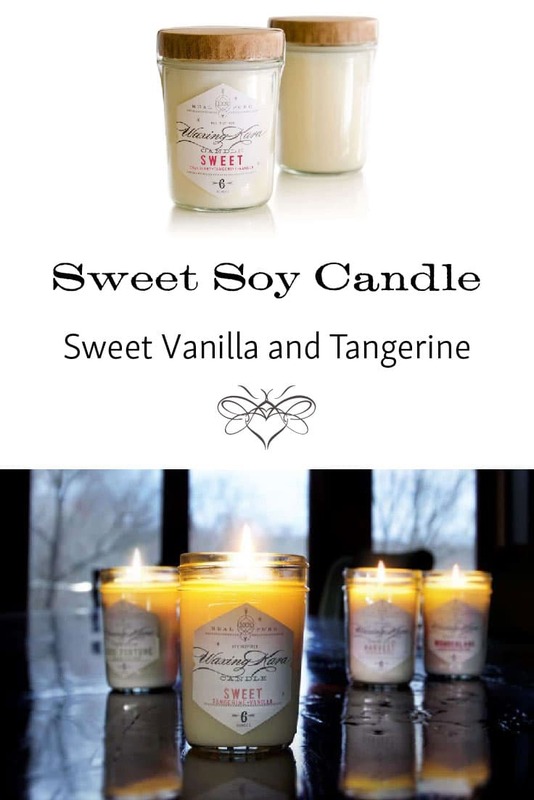 Sweet Candles started in our test kitchen. The aroma in the air was permeated with warm notes of citrus, spices and vanilla as we baked our holiday sugar cookies. This vanilla tangerine soy candle is delicate and warming, with undertones of cranberry and honey that add a touch of something special to your living room and kitchen. CAUTIONS: Do not leave burning candles unattended. No petrochemicals, additives, parabens, phthalates, or dyes. These tips and guidelines are not meant to be an all-inclusive list. Please use common sense when burning any candle. We hope you enjoy your candle as much as we enjoyed making it for you. Candles are safe products and must be used safely and watched carefully to avoid accidental fire. We urge our customers to be careful when burning candles. Please burn candles safely. Read more about candle safety. Keep burning candles away from any flammable objects. Keep candles out of the reach of children and pets. Trim candlewicks to ¼ inch each time before burning. Be sure the candleholder is placed on a stable, heat-resistant surface. Never leave wick trimmings, matches, or any other material in the wax pool. Keep burning candles away from drafts, vents & ceiling fans. Always burn candles in a well-ventilated room. Never touch a burning candle or move a container candle when the wax is liquid. Handle burning container candles with care. The melted wax and flame can cause the containers to be too hot to handle. When the wax level is from 1/4 to 1/2 from the bottom of container, you should discontinue use and avoid the possibility of the container cracking. Make sure a candle is completely extinguished and the wick ember is no longer glowing before leaving the room. Extinguish a candle if it smokes, flickers repeatedly, or the flame becomes too high. Phthalates are chemicals that are added to plastic to make it flexible. Some of them are known endocrine disrupters. They are found in some of the most surprising places, like in water bottles, hairspray, nail polish and lotions. 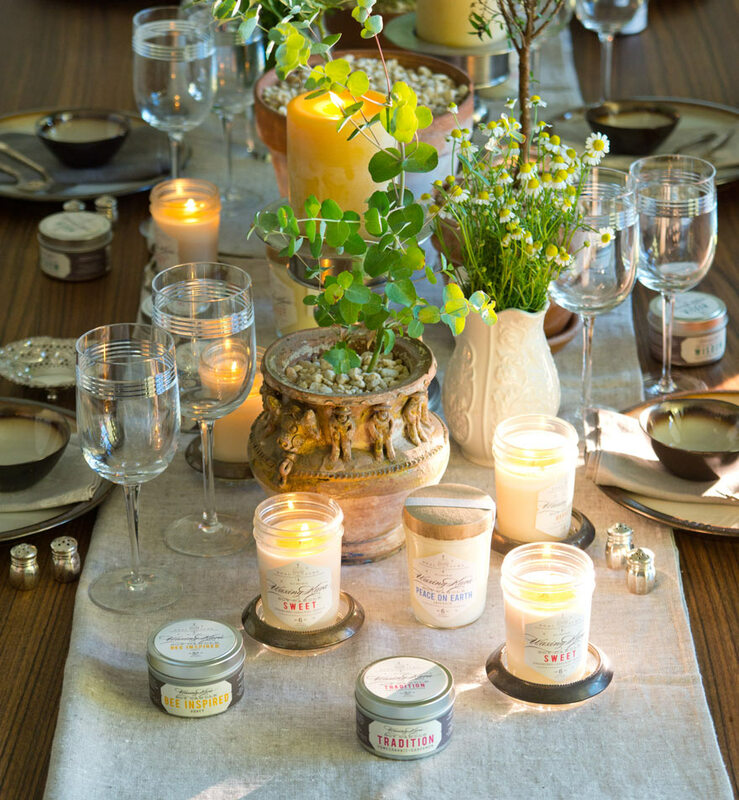 When we first started making candles, we made only fragrance-free candles. There were a number of good reasons why, but our customers taught us that they like candles to emit aroma. After some research we added fragrance to our candles. We will only use phthalate-free fragrances. Most are blends of man-made fragrance combined with essential oils. If you want to read more about phthalates, these are our sources: Toxipedia and CCCEH. Free ground shipping within the Continental US for orders over $75! Spend $75 or more for free USPS shipping, or for orders below $75, shipping within the contiguous 48 states is now determined by weight size and distance. All shipments to Canada require extra postage and may be subject to duties. Every effort will be made to fulfill your order as quickly as possible. Pending stock availability, please allow 3 business days to process your order. More if holidays are involved. If a package does not arrive within 7 days, something is up. Usually dialogue has to happen between you and your postman. If you are shipping to a multi-unit dwelling place make sure you ask where packages that are too large to fit in your box are placed. Sometimes that place moves. Ask questions. Most orders are shipped by USPS with delivery confirmation. We ship to the address that you furnish and if the item is returned to us we will make every effort to contact you for a new mailing address. If we are unable to resolve items returned to us we will refund all but shipping costs and restocking fees of 15% to your account. Note: If we are shipping to the West Coast we sometimes use FedEx Ground depending on the weight and size of package. If we use FedEx all policies apply to FedEx. IMPORTANT NOTE: We ship to the address that you provide. If you need us to ship to a different address let us know immediately after you place your order through our contact form. Please don’t ask us to reship products at our expense if you have provided the wrong mailing address with your order. Once the package is returned to us, we will ship to the correct address at your expense.